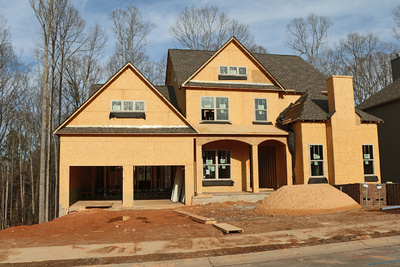 Building a Home in Greenville, SC? Building a new home can be a wonderful and (sometimes) stressful process. It is great to be able to pick everything you want, and at the same time, you will wish someone would just pick the doorbell button for you! The sheer number of choices can drive you crazy, and the finish line may feel like it just keeps getting pushed further out. Ultimately, that goal, the brand new home that is yours, and has been yours from the first nail, should be a wonderful and exciting process. That is actually a loaded question, but the short answer is "no". You don't need a Greenville SC buyer's agent, and the reality is that many people don't use a buyer's agent when building a new home. That doesn't mean they shouldn't, and after all, the majority of buyers don't even get a home inspection when building a new home. The vast majority of builders are assuming that a buyer's agent will be involved, and I have never heard of a builder giving a discount when a buyer comes without representation. That is the key word, representation. The person in the builder's office (always extremely friendly) is most certainly working for the builder, not you. They're employed by the builder, they're paid by the builder. Bringing a buyer's agent into the picture only changes one thing, the representation part. The buyer's agent works for you, and in your best interests from day 1, and their commission is still paid by the builder as a cooperating broker. The assumption is that the builder simply increases the price to compensate for that, and that is 100% false. 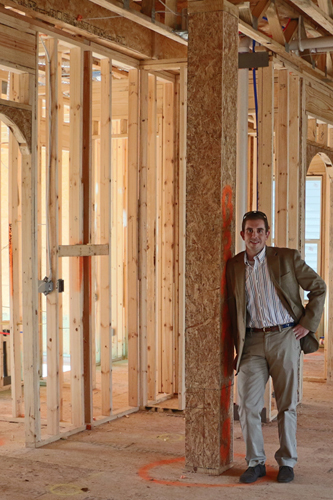 Broker/Owner Cameron Keegan has negotiated with builders on everything from price to upgrades to additions. By the time he's done, the buyer knows they couldn't have gotten a better deal without him. Even that fact is inconsequential, compared that bold word above: representation. The buyer agent's job shouldn't end at negotiations, and if it does, you probably picked the wrong one. Attendence at the pre-construction meeting and occassional walk-throughs by the buyer's agent during construction should be a no-brainer. They should be at the pre-drywall meeting, and even the pre-drywall inspection if you choose to have one (you should). They should be at the final home inspection and the pre-closing walk-through, and be ready to answer any questions you might have in between all of these things throughout the process. Building a home is a long process, but well worth it once you can sit down and relax in your new family room. Having the right person helping you through it can make it a lot less stressful, and can even save you some money in the process.